Many first-time misdemeanor crimes may be either sealed or expunged, provided defendant follows the appropriate procedural guidelines. However, domestic violence convictions – even when defendant enters a plea of nolo contender or the judge withholds adjudication – are not eligible for sealing or expunction. 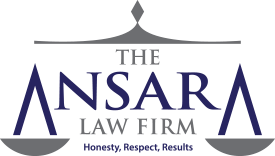 Fort Lauderdale domestic violence defense attorneys at The Ansara Law Firm, know this is why it is so important to avoid a conviction in the first place. It’s one of the many ways in which domestic violence cases are unique, and why an effective defense requires a legal team with extensive experience. It’s worth noting that an arrest or charging – absent a conviction – may still be eligible for sealing or expunction. That’s why we always advise clients to be very cautious in agreeing to a plea bargain that requires them to plead guilty or nolo contender. In so doing, they are forgoing the possibility of ever having the incident wiped from their permanent record. What Does it Mean to Have a Record Sealed? When a criminal arrest record is sealed, it means it will be closed to public inquiries. That means its existence is only going to be divulged in a very limited set of circumstances. The eligibility and process of court-ordered sealing is spelled out in F.S. 943.059. If a record is sealed, it will not be subject to the provisions of F.S. 119.07(1), which is Florida’s public records law. Public records are available to anyone upon request. But a sealed record is only available to the person who is the subject of the record, that person’s attorney and criminal justice agencies for their respective purposes. That includes background checks for hiring or the purchase of firearms. If a record has been sealed for at least 10 years, it may be eligible to be expunged. In both sealing and expunction, the end goal is the same: To make the record inaccessible to the public in most cases. However, there are several notable differences between having a record sealed and having a record expunged. An expunged record is physically destroyed by most departments and agencies in possession of it. By contrast, a sealed record still exists, but remains confidential. While a sealed record might still include details of the alleged incident, an expunged record would only include demographic information, along with a notice the record has been expunged. A sealed record has to be disclosed during the purchase of a firearm or during state or federal criminal background checks, but expunged records do not. If a charge ends in adjudication withheld, it will not be eligible for expunction. However, it may still be eligible for sealing. The same goes for charges that go to trial. A charge can be expunged if it was dropped or dismissed. Essentially, any charge can be expunged or sealed if the charges were never filed, if they were dropped by the state or dismissed by a judge. The facts of every case are different, so the possibilities are going to vary on a case-by-case basis. One option would be a pre-trial diversion. This would be something to consider if it’s your first arrest and/or the state doesn’t have an especially strong case against you. With pretrial diversion, the state attorneys’ office may agree to have you complete certain requirements (such as anger management classes or community service) in exchange for dropping the charges against you once you’ve finished successfully. This would then allow you to seal/expunge the record later. The second option would be for your lawyer to negotiate with the prosecutor to agree to a charge that is not domestic-related. It would be important for the state to stipulate the charge is not domestic, meaning you would later be eligible to have the charge sealed or expunged. Depending on the circumstances of your case, there could be other options available. It’s important to discuss this thoroughly with your domestic violence defense attorney. If you have been arrested for domestic violence in South Florida, call The Ansara Law Firm today for your free initial consultation at (954) 761-4011.